On behalf of Ascend, we invite you to submit nominations for the various leadership awards which will be presented at the 2019 National Convention & Career Fair taking place at the Washington Hilton on August 24-26, 2019. The Ascend Inspiring Across Generations (IAG) Recognitions identify Inspirational Leaders (CXOs & executives), High-Impact Leaders (senior managers) and Rising Stars (high-potential managers) who have dedicated themselves to promoting Pan-Asian leadership in business and within the community. All industry sectors and functions are eligible. Beyond significant achievement of—or potential for—professional success, nominees should demonstrate engagement in the Pan-Asian community and volunteerism through mentoring, leadership development and board service. The Ascend Affinity/Employee Resource Group (ERG) Leadership Award recognizes a Pan-Asian Affinity, ERG, Business Resource Group (BRG), or A Multicultural group that has shown outstanding leadership and initiative in promoting Pan-Asian visibility, diversity and value through one or more of the following areas: leadership development, talent acquisition, retention, cultural awareness in the business setting, marketing, business development, and community involvement. These groups are typically led by managers and professionals in the organization with an executive sponsor and are designed to further personal and professional development, networking, and sharing of best practices while promoting diversity and recognition of Pan-Asians inside and outside the organization. 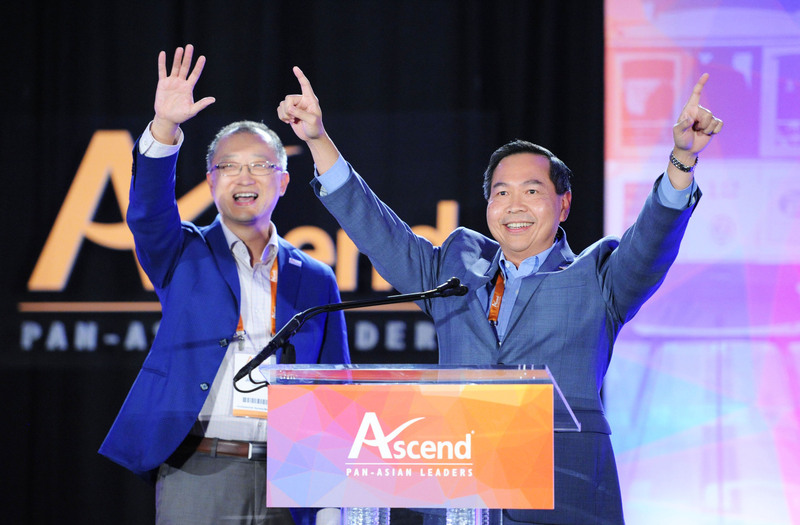 Awardees must be present at the Ascend National Convention to receive the award. The awards will be presented at our 2019 National Convention at the Washington Hilton. We hope to see you there!